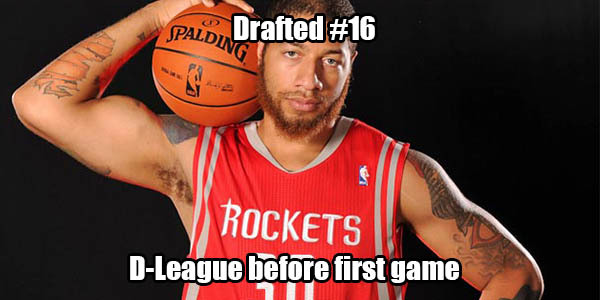 At the time of the 2012 draft, Royce White looked like a talented young player worthy of the Rockets’ 16th pick. Unfortunately, White was suffering from Generalized anxiety disorder, which included panic attacks, fear of heights and obsessive-compulsive disorder. Despite the Rockets making a number of accomodations for him, like getting him a personal bus to travel on, it just didn’t work out and White was sent the Rio Grande Vipers the same year he was drafted.